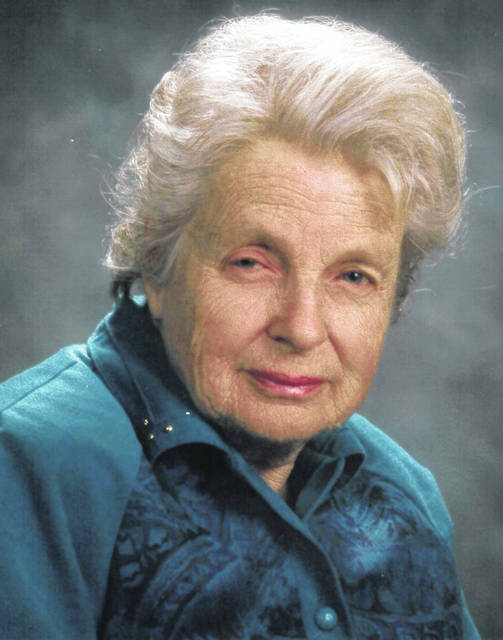 WILMINGTON — Dr. Maxine Hamilton was a Clinton County icon, in many ways, to very many people. A word often used to describe her is “special” — from the families of the 7,000 or so babies she delivered in her lifetime, to the many generations of families she cared for, to the patients she stitched up and comforted after a minor accident or a major illness. She died Saturday on the family farm, surrounded by family, just a few days after her 99th birthday. An article about her in the March 5, 2006 News Journal — marking her election to the Class of 2006 Outstanding Women of Clinton County — reiterated that point. “It’s the end of an era,” said Dr. John Hollon, longtime local family physician, lifelong Clinton Countian and, like Dr. Hamilton, a former Clinton Memorial Hospital Chief of Staff. “Dr. Maxine was a ‘family doctor’. Her patients ranged the entire age range. She delivered babies, cared for pediatric patients, treated adults and also did geriatrics. She administered anesthesia at the hospital and attended to her patients that were in the hospital. At times she would assist in surgery. And of course house calls were provided. “She and her husband, David, an internist, took two weeks vacation each year by not working Saturdays during the summer!” he added. “She loved the practice of medicine and her patients, but probably loved farming and being on her tractors as much or more! While attending Wilmington College, young Maxine Keiter wasn’t much into extracurricular activities — “I was just interested in getting an education,” she said. She attended the University of Cincinnati, graduating from the UC College of Medicine in 1949, then worked an internship at General Hospital, where she met Dr. David Hamilton, who would become her husband. She began her general practice in 1953, and she and her husband practiced together until 1987. “They were a team: Dr. David and Dr. Maxine Hamilton,” said former respiratory therapist and former Wilmington Mayor Randy Riley. “Dr. Maxine was extraordinary. She routinely provided anesthesia in the operating rooms at Clinton Memorial Hospital. Thousands of surgical cases were successful because of her skill. She also delivered babies — hundreds of them. Dr. Hamilton also served on the board of the Clinton County Soil and Water Conservation District, and the Clinton County Housing Commission. But her loves were family, farming and family practice. Dr. Hamilton’s obituary and service information are on Page 2 of today’s News Journal.